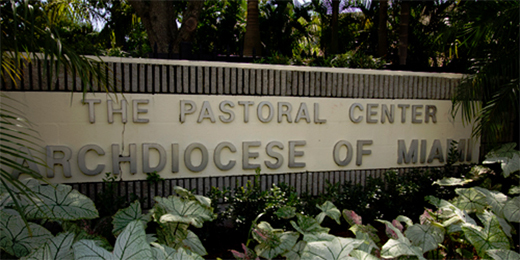 The Archdiocese of Miami is home to over half a million Catholics in Miami-Dade, Broward and Monroe Counties. Mass is celebrated in a dozen languages. We have 109 parishes and missions, including the National Shrine of Our Lady of Charity; and 62 schools, including 13 high schools and one virtual school. The archdiocese is led by Archbishop Thomas Wenski.